Governments have a constitutional obligation to consult and, where necessary, accommodate Aboriginal peoples of Canada in respect of government decisions which may adversely affect Aboriginal and treaty rights. Shores Jardine LLP can advise tribunals, Aboriginal peoples, Governments and industry on issues related to this constitutional obligation. 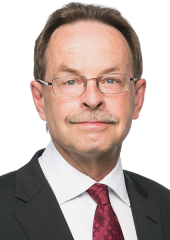 Kirk Lambrecht QC has written a book and numerous articles on this topic, with particular reference to Alberta’s reliance on the Alberta Energy Regulator process to discharge the Crown’s constitutional duty to consult, and has appeared before tribunals and courts at all levels in this area of law.